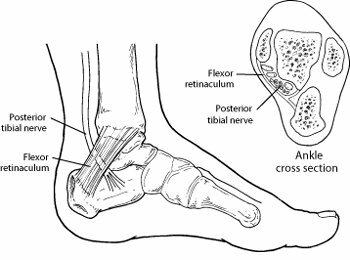 What Is the Tarsal Tunnel? The tarsal tunnel is a narrow space that lies on the inside of the ankle next to the ankle bones. The tunnel is covered with a thick ligament (the flexor retinaculum) that protects and maintains the structures contained within the tunnel—arteries, veins, tendons, and nerves.